With the holiday season upon us, the pressure is on to maximize savings while getting more freight where it needs to go when it’s needed. Although it may not be top of your list for reducing costs, the Season of Giving is a great time to consider how to improve carrier relationships. Here at Kane Is Able, we know only too well how better carrier relationships can save you money. In an earlier blog, we gave you 14 tips to help you reduce freight costs and improve freight operations that you could begin implementing right away – if you’re willing to change your mind about how you pack, organize and schedule shipments. Today, we’re going to take a closer look at how some of these changes will improve carrier relationships and reduce freight costs. 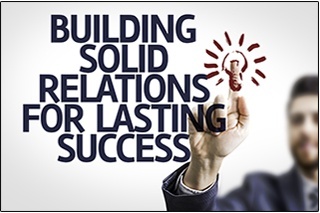 Relationships are central to successful business; and nowhere more so than in logistics. Complex distribution demands and rapidly changing supply chain situations mean that working well with your carrier partners can make the difference between incurring, or avoiding, disasters. Implement some or all of these changes to improve your carrier relationships, and feel the love. Carriers that know they are going to get a steady flow of freight in the same lane can market those backhauls and build out their networks. This makes them more efficient and can eventually lower your rate for that lane. Don’t be a serial rate shopper; develop relationships. One of the things that make carriers crazy is being constantly hammered on rates, every year, through regular freight RFPs – as if all the other aspects of their ongoing service record count for naught. Don’t treat your existing carriers like strangers. There’s a great deal more to freight than base rates. Giving your carrier a 3-year contract increases the predictability of what assets they will need, allowing them to plan better and gain savings they can pass on to you. You’ll also fare better, as a valued customer, when capacity is tight. Work on developing long-term relationships with your carriers and you’ll benefit in myriad ways, including financially. Potential savings: 3-5% per year, and these savings estimates can easily double when capacity tightens. There are several tactical strategies for making you a better shipper-partner and improving your carrier relationships. Develop a reputation for loading quickly, so drivers don’t waste time cooling their heels while another urgent pickup is waiting. Offer night pick-ups, decreasing your carrier’s time stuck in traffic, and increasing the chance of your load being handled as a backhaul after the carrier’s afternoon delivery. Ship on off-peak days, when demand is lower, to maximize your carrier’s asset utilization. Work with your carrier to develop shipping schedules that work best for you, your customer AND your carrier. POTENTIAL SAVINGS: Up to 20%. In all business, the best result is when all parties involved are satisfied. Shippers too often take an approach to securing freight services that is non-relational, and at times borders on the adversarial. At KANE, we see again and again the huge advantages all around – financial and otherwise – of forming and maintaining good connection between customers and carriers. This holiday season, give a thought to how to improve your carrier relationships.